important; font-size: 14px; font-weight: 300;”>This is not the end except the Montreal commercial and office cleaning services. We also, facilitate our clients and offering them the office and commercial cleaning services . In Laval, Longueuil, west mount and Outremont as well. 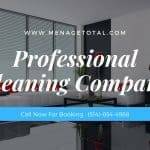 important; font-size: 14px; font-weight: 300;”>As we know the value of office and commercial cleaning and that is why we always try to give you the best services as much as we can provide you from the side of our cleaning menage total Services Company. important; font-size: 14px; font-weight: 300;”>We know the importance of cleaning, and for the sake of this, we value the quality and maximum highly effective cleaning services. We trained our staff mannerly time by time and also instructed them well when we send them to your place. important; font-size: 14px; font-weight: 300;”>Despite this, our staff and janitorial workers know the tricks to entice and appeal you, and by providing you the great and sophisticated cleaning credentials, they easily make your place spotless and create a healthy and eco-friendly environment. important; font-size: 14px; font-weight: 300;”>We value our clients, and that is why we consider it our duty and responsibility to give and offer you the reliable, flexible and mannerable cleaning.We ensure you to make your place furnish and spotless. Keeping these things aside we also offer the different categories/ types of packages just for our client’s flexibility. The packages which we offer to our customers are based on; Hourly DailyWeekly And monthly basis. So no matter which package you avail our main purpose, aim and motto are to provide you the excellent quality level of cleaning services. 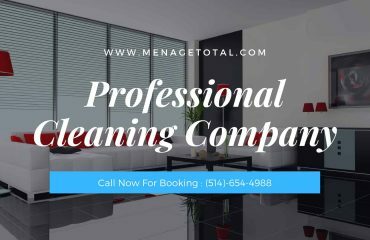 Menage Total Is A Cleaning Services Organization Based In Montreal, And Services The Montreal, Laval, And Longueuil Areas. 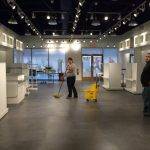 Menage Total Offers Commercial And Office Cleaning Services To General Cleaning Services. 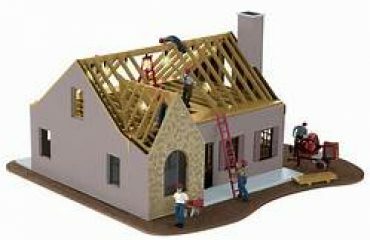 The Company Has Been Available Since 2009 And Has Been Servicing Satisfied Clients Since That Time. based on 301 user ratings. 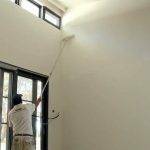 How do you clean high walls and ceilings?